Ok, this should be fun. 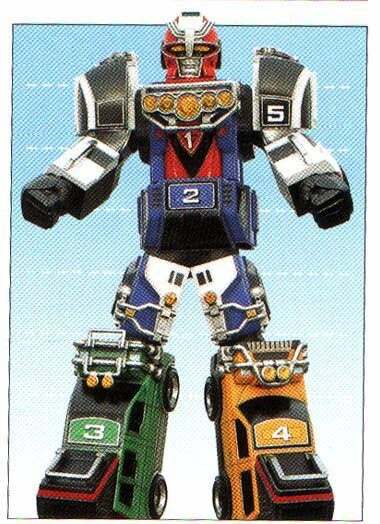 You have a team of 5 power rangers, each need a different car/Zord to combine to create the Megazord. What are they? What colors are they? And what is the Megazord's name? Bonus points if you can come up with a 6th ranger.